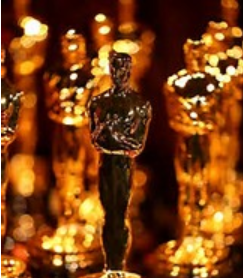 Oscars ~ Where Are We Now? With so much controversy flying every which way this year, where exactly are we? Well, the safest best bet is to watch for the Producers Guild to announce their winner this weekend. And I’m guessing it will be “Spotlight.” Low wattage, reserved, and quietly, subtlely powerful as it is, its’ distinction, like “12 Years a Slave”s before it, can’t be denied. They’re sweeping changes a foot. Everybody is discussing Academy President Cheryl Boone Isaacs’ VERY controversial announcement in a form of a press release. I’ll leave it to others who have more time than I do, busy Oscarologist that I am at this time of year, to parse just what all this means. But suffice it to say, for this year, it means NOTHING! The Oscars 2016 will roll along exactly as they were previous to this two years of #Oscarssowhite maelstrom. Nothing at all is going to change any time soon. 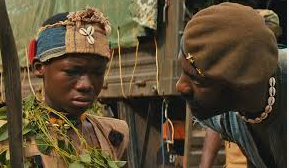 But if it WERE to effect this year’s race, you might see Idris Elba win a deserved supporting actor trophy two weeks from Sunday for “Beasts of No Nation.” I hope he does. This is for a SAG award, which they call, “The Actor”, NOT the Oscar. It seems pre-ordained now that Leonardo Di Caprio is going to win Best Actor for the revolting “Revenant.” But if he DOESN’T win the SAG Award for Best Actor two weeks from Sunday and it’s Bryan Cranston, or even Eddie Redmayne, LOOK OUT! Things are not as clear in the blogospheres’ crystal balls as they seem to be. Brie Larson, a relative unknown, is about to be crowned Oscar’s new Queen,and deservedly so, for “Room.” Such a powerful, complex, intelligent performance by an actress we almost never see on screen.. Operating against her is “Room”s teeny, tiny distributor A24, who has never been THIS near an Oscar campaign for a performance before. 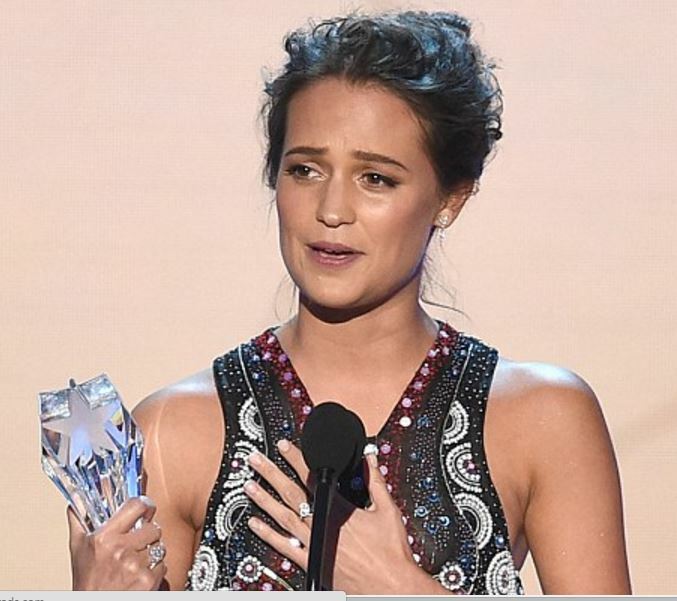 And Alicia Vikander seems to be rising and rising. She SEEMS to have the momentum in Supporting Actress for “The Danish Girl” even though it’s hardly a supporting performance at all. Again the SAGS will tell the tale and also the BAFTAs. She’s also in film after film after film. All big studios. And that means Hollywood already has a steak(stake?) in her future. Her moving, eloquent speech at the Broadcast Film Critics Awards on Sunday helped her immensely too. She was instantly unforgettable. What happened to “Carol”? That’s the 64 Dollar question. *sigh* I guess it just wasn’t good enough. And WHY wasn’t it good enough? I’d say it was the Big Zero of a performance at its’ center from Rooney Mara. Don’t get me wrong. I liked her playing the bisexual Lisbeth Salander in “Girl with a Dragon Tattoo” which I’ve seen multiple times, liking her more and more each time. But she was a void at the center of”Carol” to me. It was like Cate Blanchett was acting all by herself in that film. Whereas in “The Danish Girl” Alicia Vikander is VERY much present in her interactions, her love of her husband, even as he turns into a woman, even encouraging him as painful as it is for her, in his transition. And she’s playing a real woman, artist Gerde Wegener. , Whereas Mara is playing fictional character who is a blank, at best. Therese Belivet, the character’s name is intriguing, but the part and the performance were not. I’ve known a lot of lesbians in my gay life, and one thing they are not, is boring. “Carol” was boring.